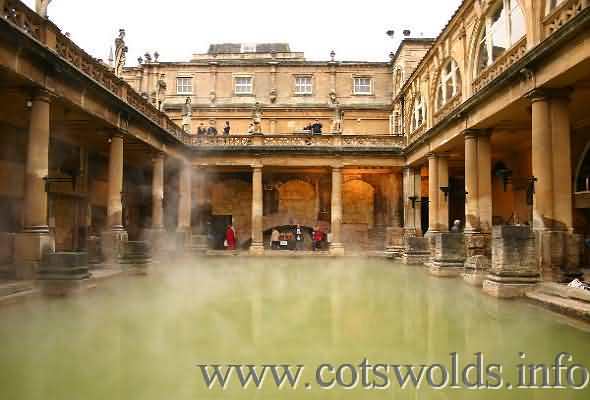 Known as Aquae Sulis they date back to AD 54 and were abandoned when the Romans left Britain at the beginning of the 5th century. It was not until the 18th century that it was rediscovered and its potentials once again realised. Known as a sacred spring the water rises at the temperature of 460c at the rate of 240,000 gallons a day and has done so since time immemorial. 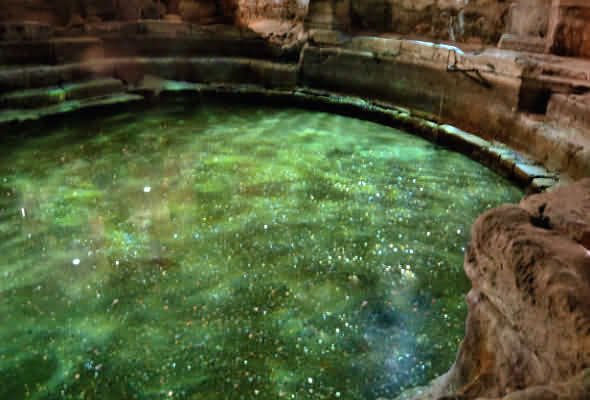 It was considered that the waters had healing powers and so attracted visitors from Europe and beyond. Now the waters are regarded as being unsafe for bathing. For those wishing to experience bathing in the Bath waters, a visit to the Thermae Spa gives the opportunity to enjoy the bathing. With the exception of 25th/26th of December the baths are open daily throughout the year. Visitors should enquire about the combined ticket for the Baths, Fashion Museum and Victoria Art Gallery which is just a short distance away. 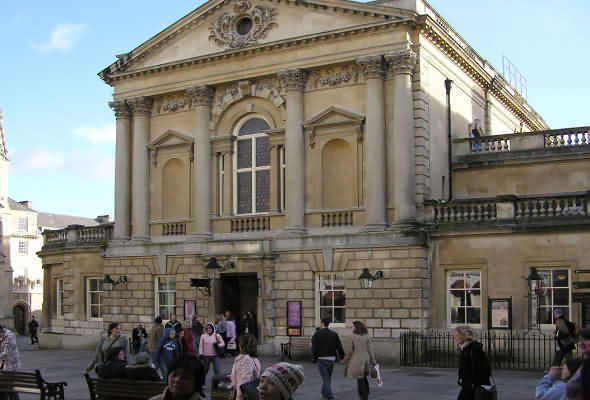 This elegant grade 1 listed building was partly built over the Roman baths in 1706, it was where the elite of the period went to “take the waters” - regarded as the social heart of Bath for more than two centuries. The Pump Room was originally built under the auspices of Richard Beau Nash. Here they could listen and watch musicians playing classical music whilst sipping a glass of water. (it is still possible to purchase a glass of water). 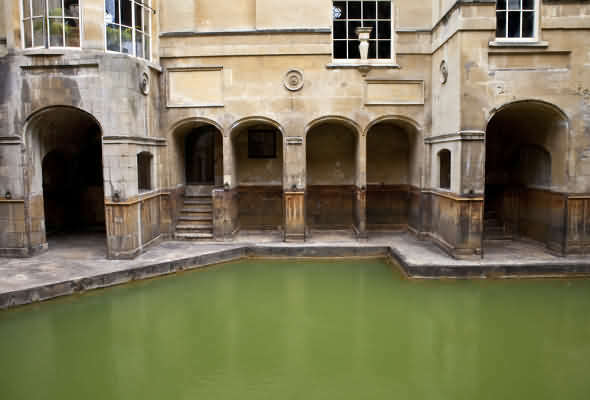 The Grand Chamber situated within the pump room overlooks the Roman Baths. Nowadays it is the tea room for the baths, just within the entry is a bath chair which was used for the carriage of invalids. Also to be seen is a Statue of Beau Nash, he was master of ceremonies at the many functions held. 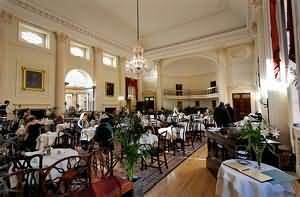 The Pump Room has a reputation for serving excellent afternoon teas and is immediately next door to the Roman Baths and Bath Abbey. The Pump Room restaurant is open for breakfast, lunch and afternoon tea daily as well as for private hire for evening events. 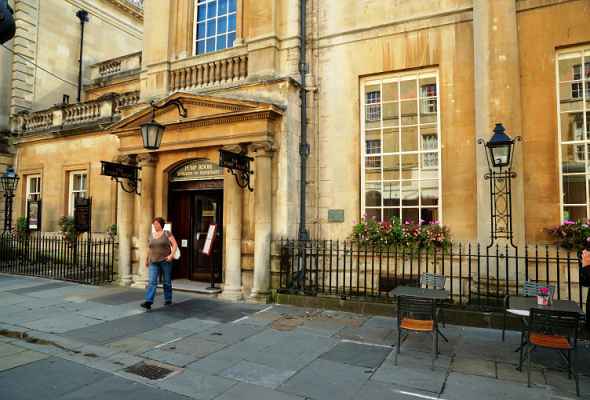 The main building is built of Bath stone and was begun in 1789 by Thomas Baldwin. He resigned in 1791 and John Palmer continued the scheme from 1793. It was finally finished in 1799.